David Bonanno died in early December after more than 40 years at the Philly-headquartered American Poetry Review. 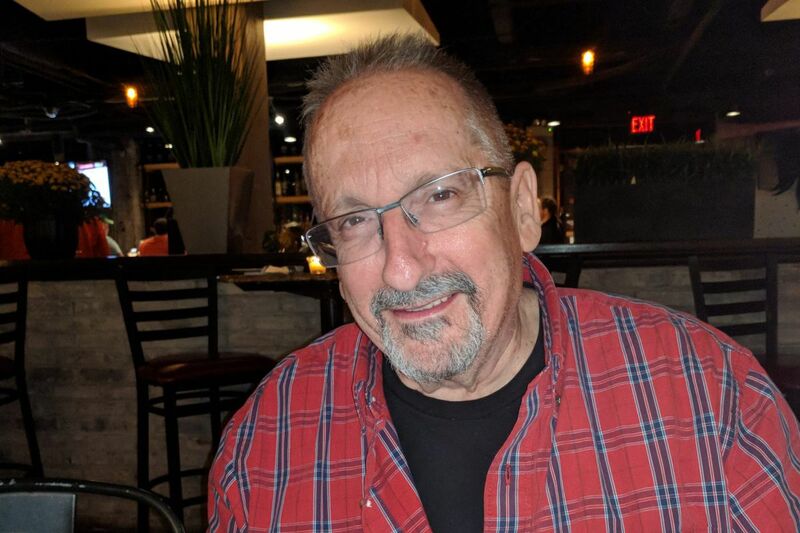 David Bonanno, 68, longtime editor of the nationally renowned and Philadelphia-based American Poetry Review, died Friday, Dec. 8, from complications after a medical procedure. In an field that his friend and New Jersey's first poet laureate, Gerald Stern, described as full of "envy and backbiting," Mr. Bonanno was a kindhearted and understated presence who was generous with his time and expertise. "He offered so much service to the community," said the Review's coeditor, Elizabeth Scanlon. Though not a poet himself, he loved reading literature and working with poets. On a tip from Norman O. Brown, the late philosopher under whom Mr. Bonanno studied at Wesleyan University, he pursued a job in 1973 at the year-old American Poetry Review shortly after graduation. Mr. Bonanno was young but made an impression on the Review's founding editor, Steve Berg, as "incredibly thoughtful, so self-aware, and so present," said Berg's daughter, Margot. Mr. Bonanno was hired as an editor and remained there until his death. "He was a steadying influence," said the Review's business manager, Mike Duffy. "He kept the more creative types like Steve from running amok." Steve Berg (left), founding editor of the American Poetry Review, and David Bonanno in the 1980s. Mr. Bonanno, who lived in Mount Airy for many years before moving to Oreland in the late '90s, worked on both the business and editorial sides, choosing and editing poetry that would be included in the magazine. The son of a postal worker and a housewife, Mr. Bonanno was interested in "a working-class aesthetic" and championed works in translation, said Scanlon, who worked with him for the last two decades. Aside from his role at the Review, he was also on the literary advisory panel of the Pennsylvania Council on the Arts and the board of the Association of Writers and Writing Programs, famous for its annual literary conference, a mecca for publishing industry types and known colloquially as AWP. It was at that conference 17 years ago in Pittsburgh that Kathleen Volk Miller, coeditor of Philadelphia-based literary magazine the Painted Bride Quarterly, met Mr. Bonanno. "He took me around, without hesitation, and introduced me to all the people I should know, like a representative from the NEA, [well-known] poets Stephen Dunn and Gerald Stern, everyone important at Associated Writing Programs and more," Volk Miller said. "Dave," she said, "had nicknames like 'the Poetry Don,' and he reveled in it." After that first year, the Painted Bride Quarterly and the Review always had booths next to each other at the conference, a little Philly literary embassy. David Bonanno and his wife, Kathleen Sheeder Bonanno. The later years of Mr. Bonanno's life were marked by tragedy. His daughter, Leidy Sheeder Bonanno, was murdered by her ex-boyfriend in 2003. His wife, the poet Kathleen Sheeder Bonanno, wrote a book of poetry about her death. Kathleen Bonanno died in June after a long battle with cancer. Mr. Bonanno cared for her while she was sick and helped take on one of her projects, the literary arts center Musehouse on Germantown Avenue. Kathleen Bonanno's sister, Suzanne Sheeder, said Mr. Bonanno was always the one in the background supporting his wife's creative endeavors and helping her visions come to life. "He was the one doing all the grunt work," Sheeder said. In their final years together, Mr. Bonanno and his wife worked their way through Charles Dickens' works — in part, Mr. Bonanno's best friend Fredric Brandfon said, because Dickens is funny. They turned to the author for his lightness. Mr. Bonanno's death is a loss for Philadelphia, where he was a "local treasure," said Thomas Devaney, a Philadelphia poet and friend of Mr. Bonanno's whose work has been published in the Review. But it's also a loss for the poetry world at large. "It's a great blow to the poetry community," said Stern, "and it's a major blow to that magazine." Before his death, Mr. Bonanno underwent a medical procedure to address internal bleeding. In the following days, he was transferred to a physical rehabilitation center where the internal bleeding returned. He died en route to Abington Hospital-Jefferson Health. He is survived by his son, Luis, and a brother and a sister. A memorial service is being planned at Unitarian Society of Germantown in the next few months. Donations can be made to Unitarian Society of Germantown, 6511 Lincoln Dr., Philadelphia 19119; the American Poetry Review via aprweb.org/donate; or the Leidy Sheeder Bonanno Memorial Fund at Reading Hospital, Box 16052, Reading, Pa. 19612.